WSG Monthly Bulletin - June 2018: SommCon, Cru Artisan College & more! NEW: 1st Italian Wine Scholar Unit 2, live, online, instructor-led session starts this fall! Watch our recent live preview presented by FWS Instructor Sharon McLean, FWS, DWS. The best study formula to stay on track and get to the finish line in just over 3 months if you don't have a program provider near you! Mark your calendars! Our first Italian Wine Scholar Unit 2 session in a live, online, instructor-led format will launch end of September 2018! Follow our 16-week schedule of study with live review webinars every 2-3 weeks to keep you on target toward the finish line! Missed our first IWS Unit 1 session in this format earlier this year? You can start wiht Unit 2 as both units can be taken in any order! Sign up to be notified when details are posted and registration open. 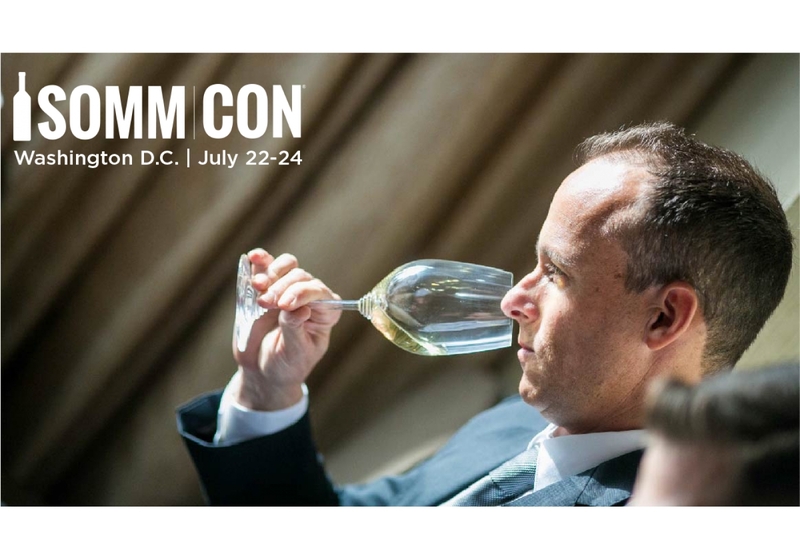 The Wine Scholar Guild at SommCon DC this July for The French Wine Scholar Challenge! Explore the more intricate aspects of France’s northern wine regions with quiz, lecture, tasting & prizes! Join Wine Scholar Guild, Education Director, Lisa Airey, FWS, CWE for this challenging & informative, full-day exploration of the wines of northern France. 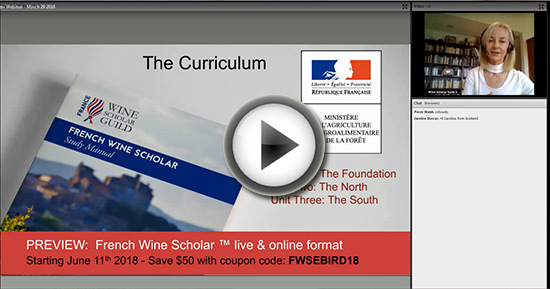 Discover the breath and depth of the French Wine Scholar certification program! Cru Artisan College is an annual, multi-city, full-day Italian wine education seminar series bringing together a panel of talented winemakers who will address some of the nation’s leading sommeliers, trade members, wine educators and serious students of wine. As an academic partner, the Wine Scholar Guild is offering its members and all serious students of wine the opportunity to partake by purchasing tickets for all 3 cities. We only have 10 seats available per city, so reserve your space today! New locations coming soon in Mexico City, Cape Town, Johannesburg, Paris, Brussels, Tokyo & more! 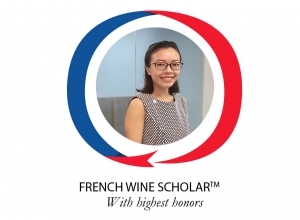 Congratulations to Crystal Chan, FWS, for passing the French Wine Scholar exam with highest honors with AWSEC in Hong Kong. "The FWS program is one of the most informative wine courses I have attended. It covers history, winemaking, some producers and style description. It even covers lesser-known region like Jura and Savoir which is eye-opening. The depth of information is the key success. It is definitely useful for my further Diploma study." Meet Crystal Chan FWS and all WSG Top Exam scorers.